Sustainable and eco-friendly clothing has catapulted itself into the mainstream. You no longer need to wear broomstick skirts and Birkenstocks and smell like patchouli. Well, you can… but you don’t have to. You will be amazed by how affordable and fashion-forward these clothing lines are. Trendy is the new green! 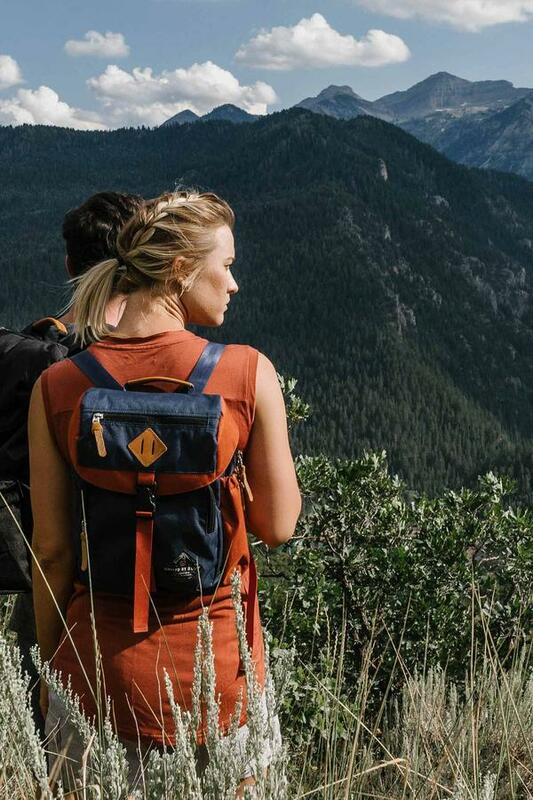 Alternative Apparel’s commitment to sustainability is defined by creating products responsibly. They make over 80% of their garments with sustainable materials and processes. Amour Vert is deeply committed to making sustainable practices, ethical products and positive environmental impacts the gold standard for the fashion industry. Amour Vert was founded on the belief that great fashion and social responsibility can coexist. 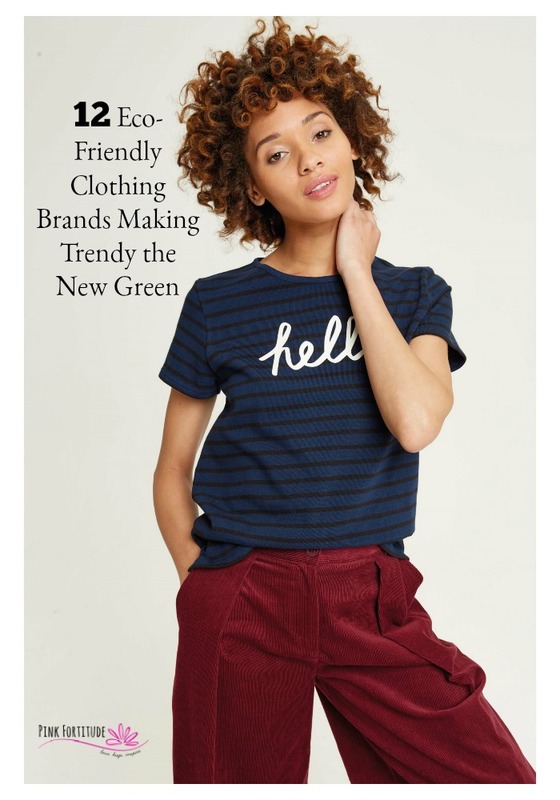 Their name means Green Love in French, but it also means American manufacturing, non-toxic dyes, sustainable fabrics, a zero-waste philosophy, and above all, enduring style. 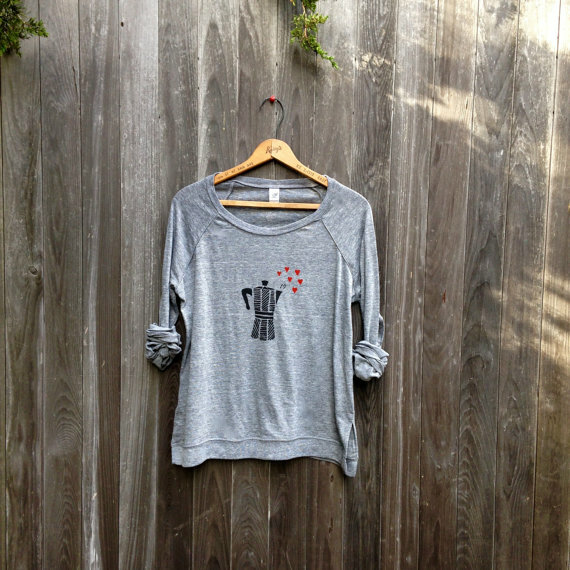 With every purchase of a tee, they will plant a tree in North America with their partner American Forest®. ASOS is committed to reducing our impact on the planet. By working with eco-friendly brands and global initiatives, they’ve put together an edit of clothing, accessories and beauty products that fit within their criteria for sustainability. 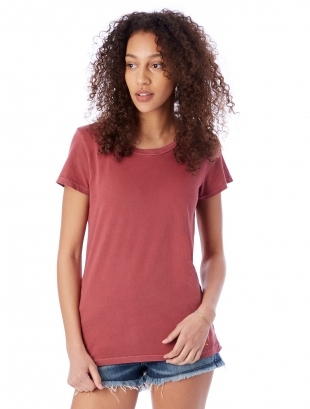 They are particularly proud of their fair-trade clothing label ASOS Made In Kenya, made in partnership with SOKO Kenya, but whether you’re looking for clothing that’s made with a lower environmental impact or beauty that’s natural and organic, you’ll find it here. With Fair Indigo, you can pick up every day clothing staples that are fair trade, organic, alpaca, vegan, or reusable, all at affordable prices. Do you love H&M as much as I do? Each year H&M launches the Conscious Exclusive Collection. The collection comprises of high-end environmentally friendly pieces, aiming to move H&M’s fashion and sustainability development towards a more sustainable fashion future. They are committed to showing that sustainable fashion has a place on the red carpet as well as making it part of their daily offer in their stores. One of H&M’s goals is for all cotton in their range to come from sustainable sources by 2020. Nicola and the Newfoundlander began as a tiny craft show packed up in a small volvo and slowly grew into a unique home-made studio, making objects for the home out of reclaimed wood and whimsical wearable cozies. Her work is usually functional and quirky. The materials are often reclaimed and organic. Pact Organic is obsessed with a big idea: clothes that make the world a better place. Socks with soul, altruistic underwear, and other everyday essentials made with fabrics that feel good and go easy on the environment. The best part: with every purchase, you help Pact make a positive change in our world. Pact will be supporting a variety of social projects in cotton growing villages to help build strong and vibrant communities. People Tree purchases the majority of its Fair Trade products from marginalized producer groups in the developing world. They also guarantee most of their purchasing is committed to the World Fair Trade Organization and Fair Trade standards. Their priority is to support producer partners’ efforts towards economic independence and control over their local environment and community. They use natural resources throughout our production to promote environmentally responsible initiatives for a sustainable future. Created in 2009 by Yael Aflalo, Reformation designs and manufactures the majority of their limited-edition collections in their factory headquarters in downtown Los Angeles. All other garments are produced by responsible manufacturing partners here in the U.S. or abroad using sustainable methods and materials. They source sustainable fabrics and vintage garments while incorporating better practices throughout our supply chain to make beautiful styles at a fraction of the environmental impact of conventional fashion. It is their mission to lead and inspire a sustainable way to be fashionable. Soul-Flower is a natural clothing brand for kind souls and free spirits. Mindfully made with natural fibers and heartfelt art, we design our threads with kind vibes from start to finish. We seek inspiration in the simplicity of everyday life – in nature and in music, in free-spirited adventures and in like-minded souls. We create clothing in a way that supports our planet, spreads a positive message, and most importantly — helps you express yourself. You can make a difference with what you wear, so share the vibe and let your Soul Flower in our natural fiber clothing! StyleSaint was created by Allison Beal, a 9-year fashion industry veteran who’s been alternately described as a “rocked-out Veronica Lake,” a “dainty hooligan” and a “high priestess of style.” After years spent with traditional fashion companies, Allison envisioned a new type of designer label–one that blended quality, affordability, and conscious commerce by utilizing technology to eliminate standard industry middlemen and markups. Thus StyleSaint was born, and fashion was forever changed. Each piece sketched and sourced by Allison is handcrafted under her creative direction by StyleSaint’s dedicated teams in downtown Los Angeles. United by Blue’s mission is to clean up water pollution. For every product sold, United by Blue will remove one pound of trash from oceans and waterways through company organized and hosted cleanups. On top of that, each piece is made from recycled goods. In addition to their pledge to remove one pound of trash for every product sold, they hold their suppliers to specific environmental standards, offer their employees paid time off for community service, and over 75 percent of their office supplies are made from recycled content. Looking for a one-of-a kind piece to fit your one-of-a-kind style? 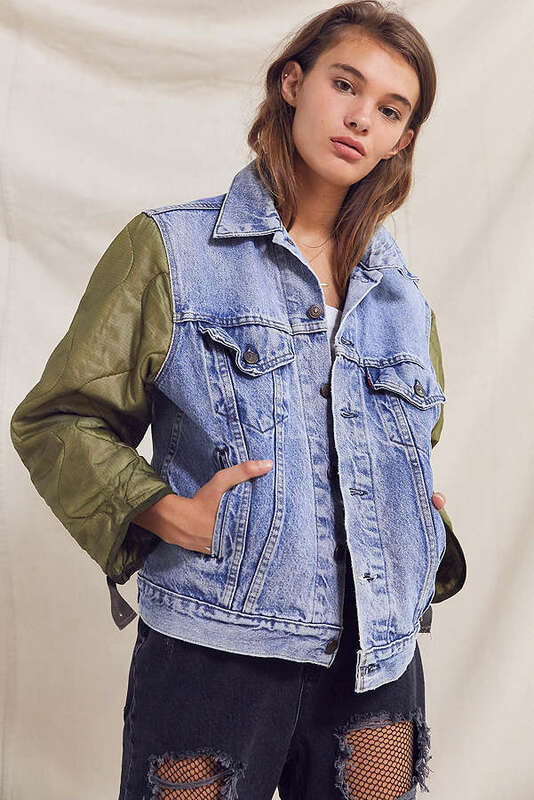 Urban Renewal for Urban Outfitters offers a curated collection of selective vintage items that have walked through all stages of life. These vintage clothing pieces are carefully selected, re-designed, and upcycled that are as unique as they are on-trend. From recycled denim cut-off shorts to remade vintage dresses to broken-in tees, they’ve got you covered. 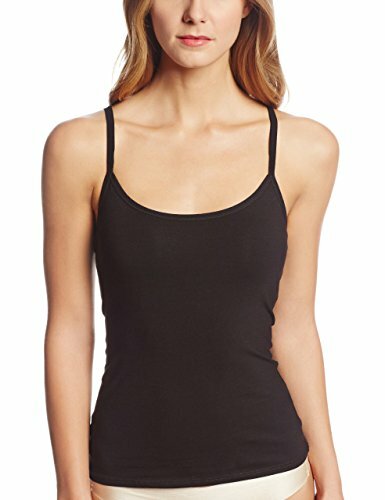 Evolve Yoga Clothing has eco-friendly clothing (not just yoga) which help GIRLS run the world. 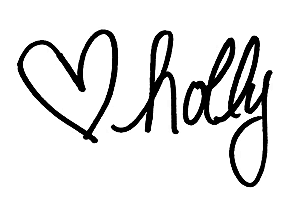 Love, hugs, and trendy is the new green!